They might be losing every American war, but they’re winners with Donald. Except for the generals. Think of them as the last men standing. They did it. They took the high ground in Washington and held it with remarkable panache. Three of them: National Security Adviser Lt. Gen. H.R. 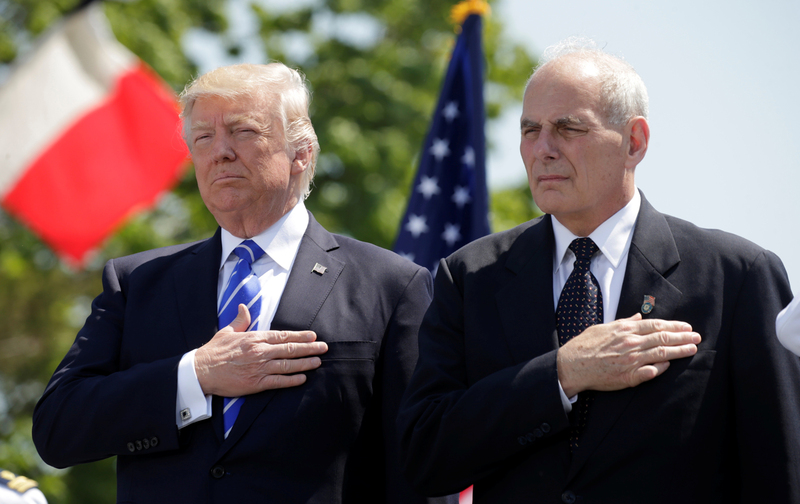 McMaster, secretary of defense and retired Marine general John Mattis, and former head of the Department of Homeland Security, now White House chief of staff, retired Marine general John Kelly stand alone, except for President Trump’s own family members, at the pinnacle of power in Washington. Retired Marine general John Kelly was assistant division commander in Iraq under Mattis, who personally promoted him to brigadier general on the battlefield. (Present head of the Joint Chiefs, Gen. Joe Dunford, was an officer in the same division at the same time and all three reportedly remain friends.) Though Kelly had a second tour of duty in Iraq, he never fought in Afghanistan. Tragically, however, one of his sons (who had also fought in Fallujah in 2004) died there after stepping on an improvised explosive device in 2010. That place is, of course, Washington, DC, where they are indeed the last men standing and, in Trumpian terms, absolute winners. In Washington, their generalship has been anything but rubble. It’s always been another kind of more—more of whatever they wanted, from money to surges to ever-greater power and authority. In Washington, they’ve been the winners ever since President George W. Bush launched his Global War on Terror. What they couldn’t do in Baghdad, Kabul, Tripoli, or anywhere else across the Greater Middle East and Africa, they’ve done impressively in our nation’s capital. In years when they unsuccessfully brought the full power of the greatest arsenal on the planet to bear on enemies whose weaponry cost the price of a pizza, they continued to rake in billions of dollars in Washington. In fact, it’s reasonable to argue that the losing conflicts in the war on terror were necessary prerequisites for the winning budgetary battles in that city. Those never-ending conflicts—and a more generalized (no pun intended) fear of (Islamic) terrorism heavily promoted by the national security state—have driven funding success to staggering levels in the nation’s capital, perhaps the single issue on which Republicans and Democrats have seen eye to eye in this period. In Washington, whatever the Constitution may say about civilian control of the military, the generals—at least at present—control the civilians and the deep state has become the all-too-visible state. In this context, one thing is clear, whether you’re talking about the country’s panoply of “intelligence” agencies or the Pentagon, failure is the new success. So in 2023, if that full $6.5 billion is indeed invested in—perhaps the more fitting phrase might be squandered on—the Afghan air force, one thing is a given: It will not be “self-sufficient.” After all, 16 years later with not $6.5 billion but more than $65 billion appropriated by Congress and spent on the training of the Afghan security forces, they are now taking terrible casualties, experiencing horrendous desertion rates, filled with “ghost” personnel, and anything but self-sufficient. Why imagine something different for that country’s air force $6.5 billion and six years later?